Hey! We are Michael and Alexandra from the travel blog Couple’s Coordinates and today we are sharing our 10 best Italy honeymoon destinations. Our relationship and travel have been entwined since the inception; having traveled to more than 30 countries together over the last 5 years. Many of our major milestones have taken place on the road including our engagement in Positano, Italy, and our wedding in Bora Bora. Having lived in Florence, Italy, we have become experts on the country of Italy as a great option to take your honeymoon vacation. Dreaming of a Europe honeymoon? Italy is a fairly sizable country with a myriad of topographies. From the boot to the islands, you’ll find mountains, rolling country hills, dry arid desert-like areas, white sand beaches, and of course, vineyards. The train system and economy air providers have made intra-Italy travel incredibly easy and affordable. As such, you and your partner can very easily see some (or all) of the destinations below on your Italian honeymoon. We suggest visiting at least three destinations on your honeymoon so that you can experience the different regions of Italy. A romantic honeymoon doesn’t always require white sand beaches and crystal clear blue water. The gorgeous deep blue water of Lake Como and the mountains that envelop the town of Bellagio make for a charming and relaxing honeymoon. If Bellagio is a nice enough escape for George Clooney, suffice it to say it will be perfect for you and your new spouse. Lake Como is lined with a number of towns, Bellagio being the most popular and beautiful. If you have enough time on Lake Como, it is worth taking the ferry to the neighboring towns such as Varenna, Como, and Menaggio. Cinque Terre and Portofino are the most romantic and most popular towns on the Ligurian Coast (northwest coast of Italy). 5 (cinque) towns littered throughout the mountains along the Ligurian Coast make up what we know as Cinque Terre. Riomaggiore, Manarola, Corniglia, Vernazza, and Monterosso al Mare (from south to north) are uniquely architected fishing villages; each resembling a 152-count box of Crayons. Each town is unique, yet incredibly similar. For Italy honeymoon purposes, you’ll find that Monterosso al Mare is a fantastic choice. The long beach provides endless opportunities to sunbathe and relax. The 5 towns are connected by one of the most beautiful hikes we have ever done; finishing with a pathway known as Villa dell’Amore, or the way of love. The paved pathway between Riomaggiore and Manarola is often closed due to rain and mudslides; so note that you might have to train between these towns. 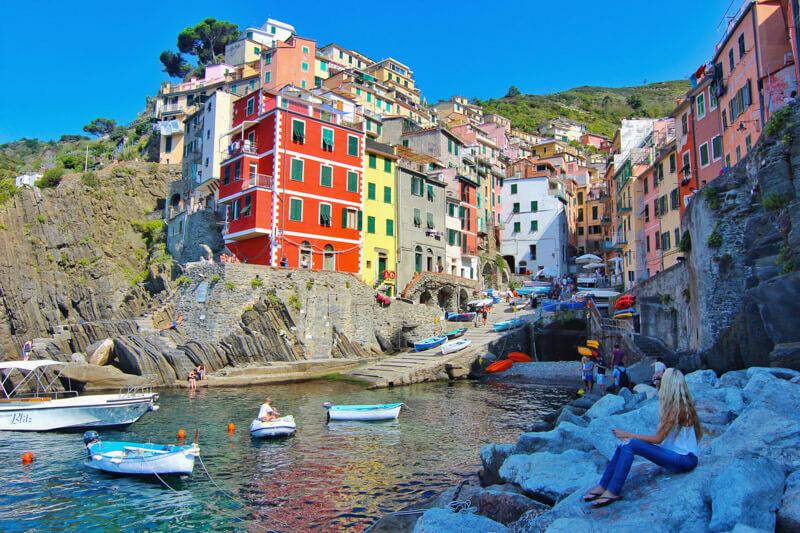 While in Cinque Terre you can enjoy the aesthetic beauty, the delicious Ligurian cuisine, hiking, swimming in the sea, laying on the beach, and even boating or fishing. The coastal mountains are lined with vineyards, offering visitors plenty of unique varietals for wine tasting. 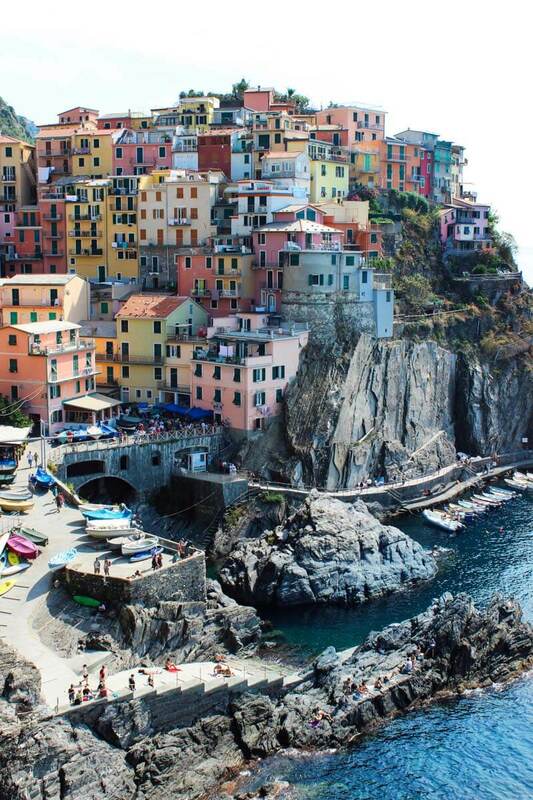 Here is how to plan a Day trip to Cinque Terre from Florence. Portofino is a quasi-extension of Cinque Terre. The gorgeous, colorful, town is not far north of Cinque Terre and is a similar, perhaps more bougie version of Cinque Terre. 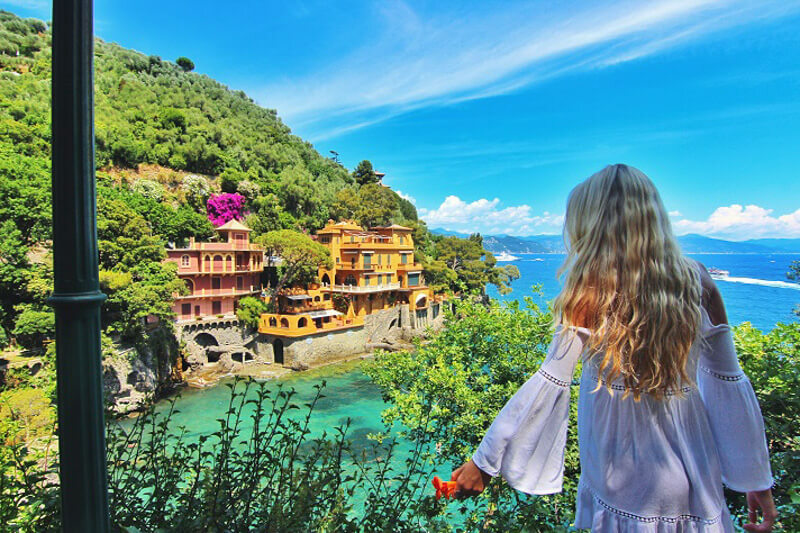 In Portofino, you’ll find similarly bright colored buildings to those in Cinque Terre, similar Ligurian cuisine (trofie al pesto, local fish, and fruity white wines), and beautiful mountains that line the coast. One thing that you’ll find more of in Portofino is luxury yachts. The water seems to be a parking lot for the rich and famous. The idea of “old meeting new” is personified in this beautiful village. Come to think of it, Portofino would make a great hideout for a Bond villain. If you’ve seen the movie Wolf of Wall Street, Jordan anchors his and Naomi’s yacht, the Naomi, just off the coast of Portofino. If you get bored lounging and drinking prosecco on a boat, you can reach the adjacent town of Santa Margherita on foot or by bus. You can also train from Santa Margherita to Cinque Terre. Ahh, Firenze! Our second home. Our love. Our solace. Florence offers newlyweds a unique Italian honeymoon opportunity that doesn’t involve white sand beaches and tropical drinks with the umbrellas. Florence was the heart of the Renaissance and remains the historical nucleus of a country that was dominated so long by Ancient Rome. 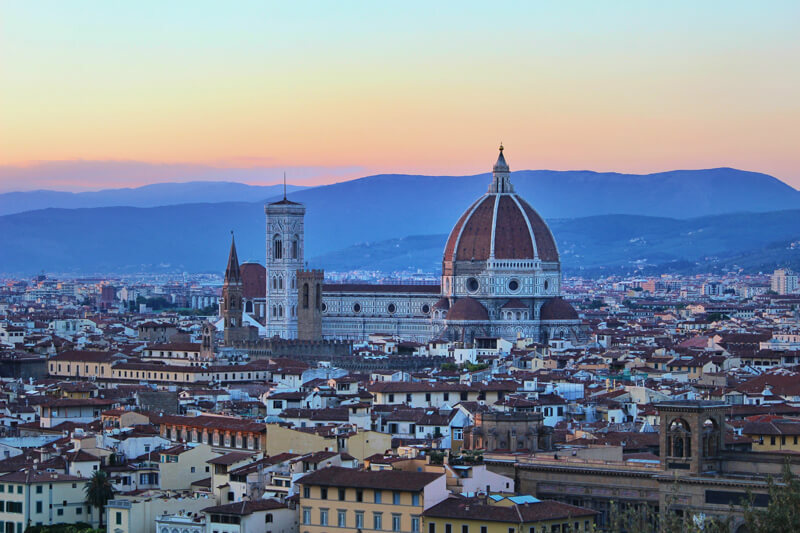 If you and your spouse are looking for a honeymoon rich in history, delicious cuisine, and viticulture, you ought to add Florence to your list of honeymoon destinations. 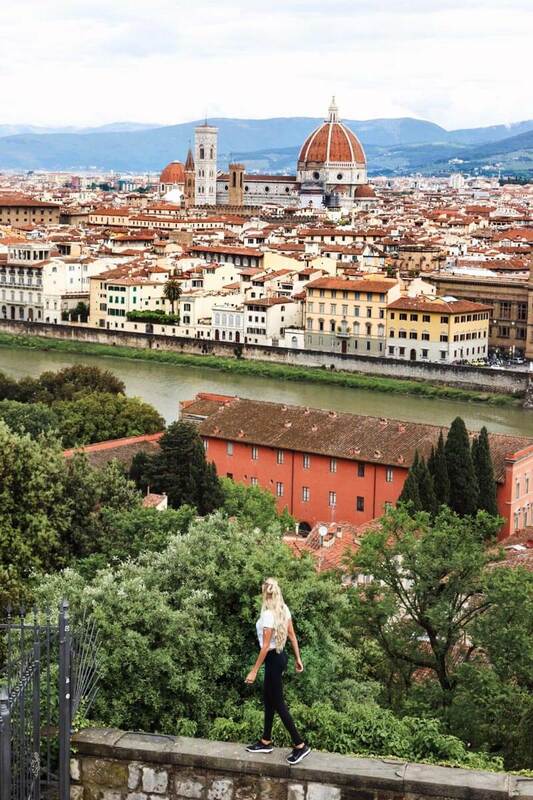 Aside from food and culture, Florence is aesthetically beautiful. The center and the Oltrarno are separated by the Arno river and surrounded by the beautiful Tuscan hillside. The bridges that are littered throughout the city make for a perfect spot for a sunset picnic. Regardless of the time of year, Florence invariably boasts beautiful sunsets. Tuscany is home to some of the best wine in the world, the famous bistecca Fiorentina (or as they call it in Florence, simply bistecca), and a world-renowned gold trade. Be sure to taste some wine from the surrounding Tuscan vineyards of Montalcino, Chianti, San Gimignano and more – you’ll love Brunello, Chianti, and Vernaccia. Centrally located in Italy, Florence is a short drive from the towns of Siena, Pisa, Lucca, and San Gimignano and is only a short train ride from Rome and Milan (90 and 100 minutes, respectively). If you spend your honeymoon in Florence, be sure to enjoy wine tasting in Tuscany, take a cooking class with a local in Florence and learn to make pasta, fiori di zucca, bistecca and other Tuscan dishes, and enjoy the famous museums of the Uffizi and the Accademia. Florence is also the birthplace of gelato, so be sure to eat your body weight in gelato before you leave. What Florence was during the Renaissance, Rome was before the fall in the year 476 CE. Rome became a ruin of itself during the dark ages and beyond, but was resurrected during the reign of Mussolini. Today, Rome is one of the most visited cities in the world as tourists hope to walk in the footsteps of the ancient Romans at the Sistine Chapel, Trevi Fountain, and the Vatican. 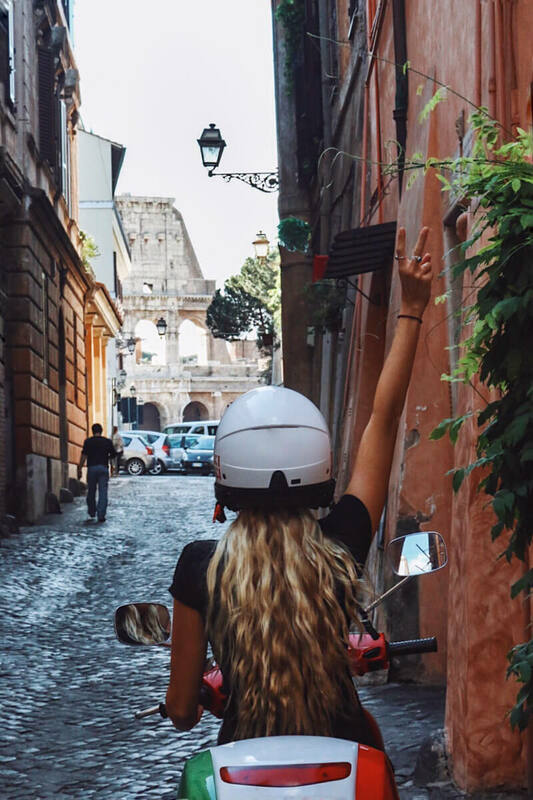 When you visit Rome with your partner, rent a Vespa and explore the city like a local. 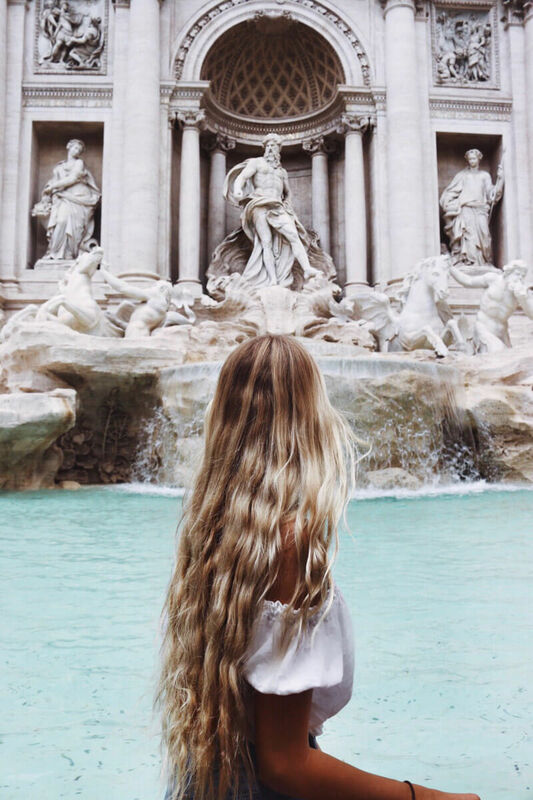 On your Rome honeymoon, enjoy the juxtaposition of ancient and modern architecture and revel in the incredible feeling you’re inevitably going to feel as you explore the most historic city on earth. 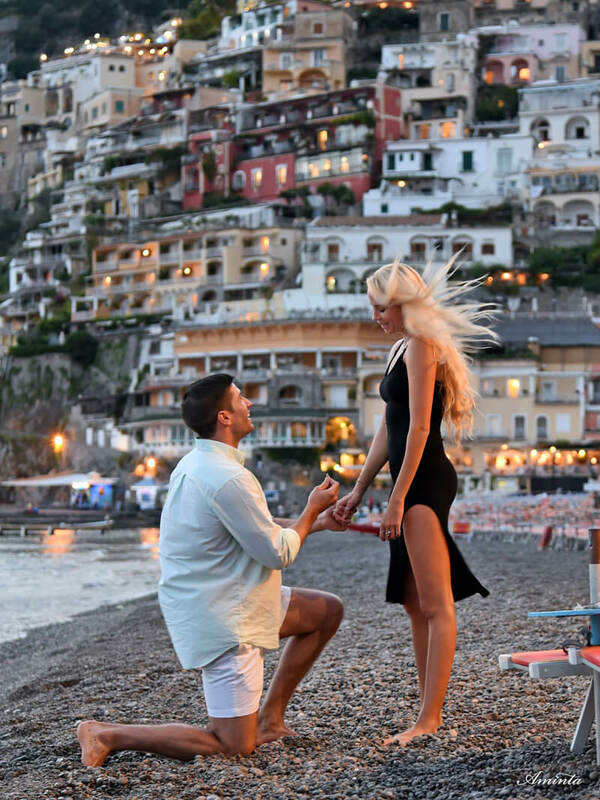 We have a special relationship with Positano after getting engaged on the beach in 2016. Since 2015, we have made an effort to visit Positano at least once each year. Positano is the quintessential coastal town of Italy. The mountainous landscape of the Costiera Amalfitana – Amalfi Coast – is even a UNESCO World Heritage site. In Positano, you’ll find our favorite restaurant in the world: Da Vincenzo. Serving local seafood dishes and handmade pasta on a patio overlooking the center of Positano, Da Vincenzo is a favorite of locals and tourists alike. Plan a romantic dinner here after you’ve enjoyed a day on the beach with your new husband/wife. From spending the afternoon on a boat to relaxing on the beach, hiking the Path of the Gods to kayaking in the sea, there are loads of romantic things to do in Positano. The Amalfi Coast is so beautiful, so romantic, and so unique that we had to include it on our list of romantic honeymoon destinations in Italy. 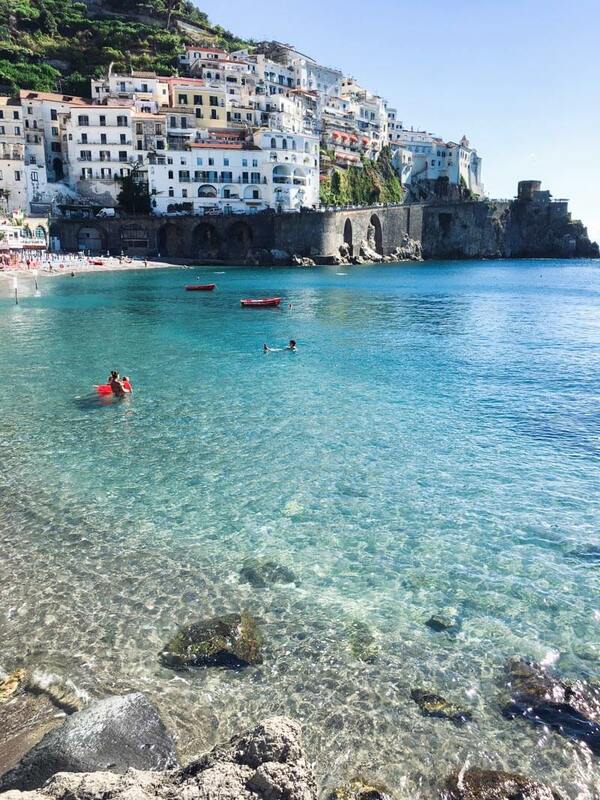 Amalfi is about a 30-minute drive from Positano and can easily be reached by car, bus, or even boat. The fishing village with a pier is quite similar to Positano, but a bit less crowded and a lot less steep. In Positano, you’ll have hundreds – wait, thousands – of steps to ascend and descend on a daily basis. Amalfi also features more white buildings as opposed to the array of colors you’ll find in Positano. From Amalfi, you can easily walk to Atrani (a more quaint town on the Amalfi Coast) and you can hike up to Ravello (one of the more popular towns along the Amalfi Coast that sits up in the mountains and offers panoramic views of the coastline). Situated a 30-minute boat ride both from Positano as well as the Bay of Naples, Capri is the famous Italian isle with sheer cliffs, gorgeous beaches, and famous blue grottos. 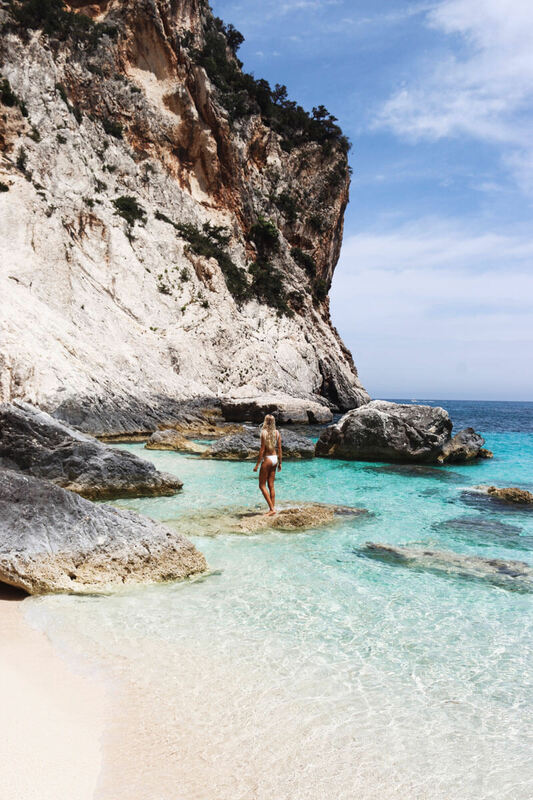 Capri can get crowded and touristy in high-season, but if you book a nice hotel with a pool you can avoid the crowds by only leaving to go to the beach. The beaches on the backside of Capri are generally only visited by locals and those with boats, leaving the rocky beaches empty. This is the perfect romantic place to relax and enjoy your honeymoon. Be sure to take the gondola ride to the top of the island to enjoy a view that is, as the Italians say, “Mozzafiato,” – breathtaking. Up to this point, you’ve probably heard of most of the destinations we included on this list. However, most people – even those who have visited Italy once or twice – aren’t familiar with the town of Mondello. Mondello is a gorgeous seaside town on the coast of Sicily and is more so a vacation destination for Italians than it is for locals. 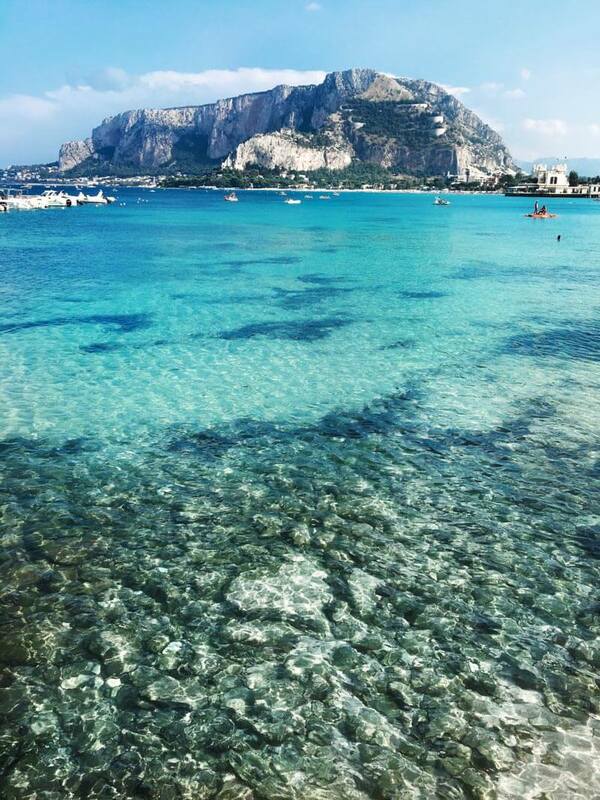 Mondello is the image you likely conjure when thinking about a gorgeous Sicilian village where you’d like to retire. 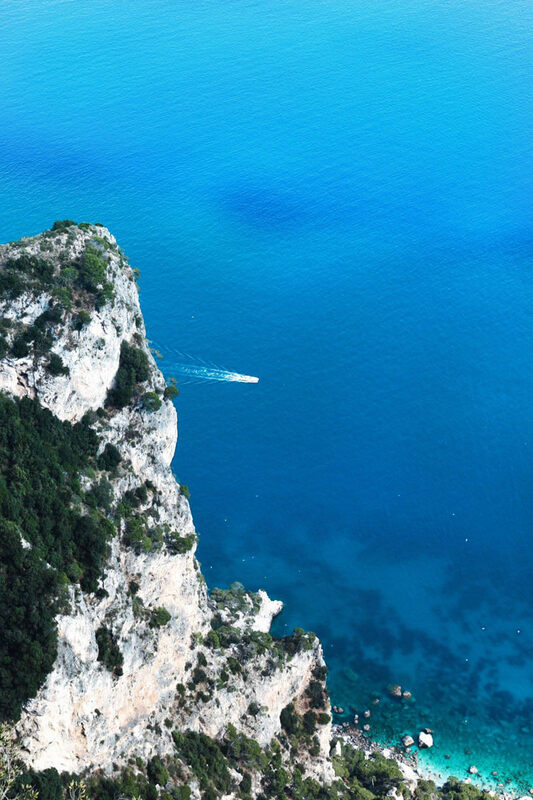 White sand beaches, perfectly clear blue water, and restaurants filled with delicious Sicilian cuisine are encompassed by massive cliffs on either side of the town. Put simply, Mondello is an Italian bubble that we hope never pops. 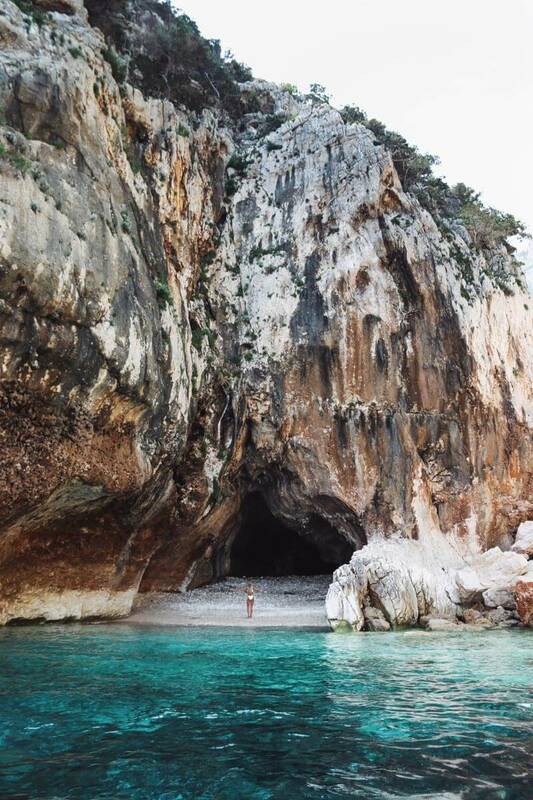 The island of Sardinia is paradise both for those looking to relax as well as for those looking for some outdoor adventure. For the more adventurous types, the island is host to a plethora of activities such as rock climbing, boating, fishing, and hiking. Accommodation: Book hotels and apartments in Italy directly on Booking.com, or read hotel reviews for Italy on Trip Advisor. Flights: Skyscanner and Momondo are time saving flight search engines and help you find your cheapest flight. Car Rental: RentalCars.com is the world’s biggest car rental booking service that compares all the major brands. Tours: Viator is a Trip Advisor owned company and offers small group tours to popular attractions. Travel Insurance: Don’t leave home without it. It covers unexpected medical emergencies, trip cancellations, lost or damaged luggage by an airline etc. Get a quote from Alliance. Travel Gear: Columbia has been making quality and affordable travel clothes and gear for over 70 years. Suggested Guidebook: Rick Steve’s 2018 Italy Guidebook and the Rick Steve’s Italian phrase book. 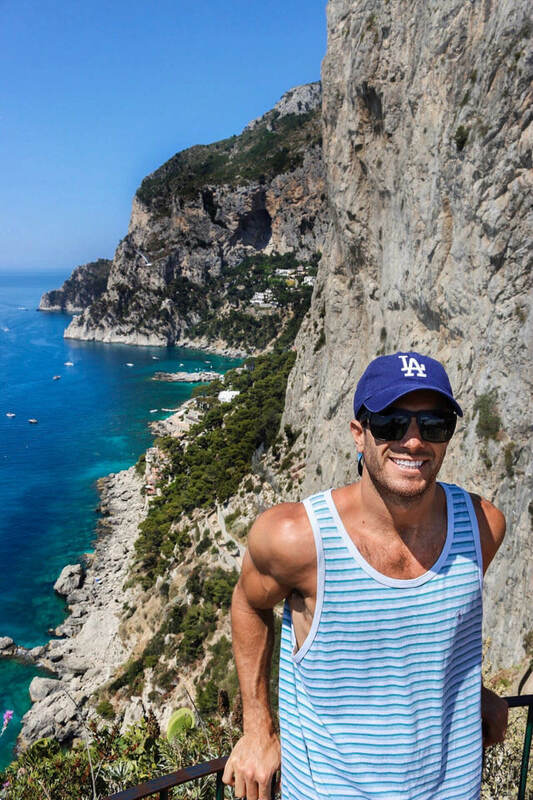 We hope this helped you plan your Italy honeymoon itinerary. Any questions or comments write them in the comments section below!